That's a terrible shame. A hard-knocking racehorse who was good-looking and came from a beautiful family. Starine wrote: That's a terrible shame. A hard-knocking racehorse who was good-looking and came from a beautiful family. First two mares bred to Lord Nelson confirmed in foal! Treve wrote: First two mares bred to Lord Nelson confirmed in foal! Fantastic! He's been through so much, really hope this guy does well. Squeaky wrote: Any updates on Arrogate? Has he bred any mares yet? Songbird? This is really good news. Nelson deserves a shot at making it as a stud. He'll stand court at Newgate Farm. 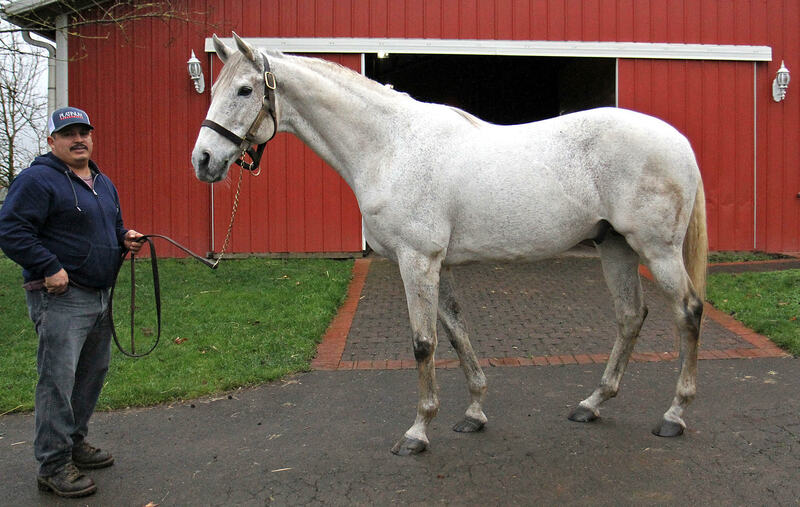 First-year stallion Klimt has had his first mare confirmed in foal. Klimt covered the Japanese-bred Empire Maker mare Future Reward among his initial group of mares, and she has been pronounced in foal. Future Reward hails from the direct family of Kentucky Derby hopeful Instilled Regard. Her second dam is champion 3-year-old filly Heavenly Prize, who produced sire Pure Prize and the dams of 2018 Lecomte Stakes winner Instilled Regard, Grade 1 winner Persistently, and Grade 1-placed Faithfully. A Grade 1-winning 2-year-old by Quality Road, Klimt won the Grade 1 Del Mar Futurity by 4 ¼ lengths, recording the second-fastest Futurity in over a dozen years, with only American Pharoah running faster. He also captured the Grade 2 Best Pal Stakes and finished second in the Grade 1 FrontRunner Stakes before retiring with earnings of $468,960. Klimt stands for $10,000 and is booked full for this first year at stud. Royal Mo will enter stud at Klawervlei Stud, where he'll become the first son of U.S. champion Uncle Mo to stand in South Africa. A 4-year-old out of the Saint Ballado mare Royal Irish Lass, Royal Mo compiled a 2-2-1 record out of six starts for owners Jerry and Ann Moss and trainer John Shirreffs. His biggest victory came in the 2017 Robert B. Lewis Stakes (G3), where he defeated eventual Toyota Blue Grass Stakes (G2) winner Irap by 3 1/2 lengths. Royal Mo went on to finish third in the Santa Anita Derby (G1), a length behind multiple grade 1 winner Gormley and a half-length behind subsequent Las Vegas Breeders' Cup Dirt Mile (G1) winner Battle of Midway . Royal Mo's last timed workout was six days before the 2017 Preakness Stakes (G1), when he fractured his right-front sesamoid at Pimlico Race Course. Quick thinking by Hall of Famer Gary Stevens, who was in the irons, to jump off and get the leg elevated is credited with saving the colt's life. 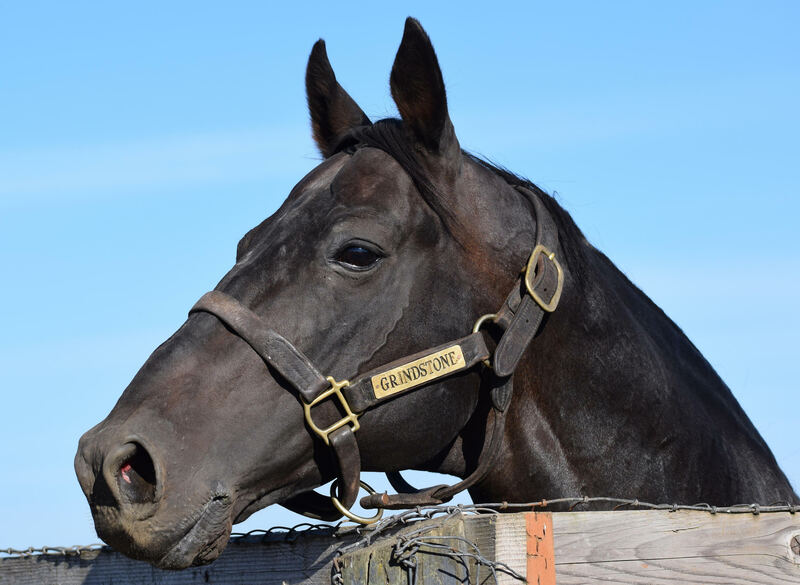 The surgical team at University of Pennsylvania School of Veterninary Medicine's New Bolton Center repaired the leg and allowed Royal Mo a stallion career. Yes!!!!! I've been trying to watch for this announcement, and getting more uneasy by the day when there was nothing more specific for so long. Wishing him a long and successful career! Good to see this! I really hope Drefong does well there. And it's great to see Pyro again. I wish I understood Japanese. Pyro(USA) has been doing very well at stud in Japan. Standing at Darley Japan, he has had 250 winners out of 350 starters so far. He looks like a dirt sire. But he was represented by a group winner on the turf, too. tachyon wrote: Pyro(USA) has been doing very well at stud in Japan. Thanks for the pic, tachyon. I keep an eye on his number of coverings and his stallion reports, but hadn't looked recently. He's still ranked 12th as a sire of dirt horses and only 72nd for turf. I hope dirt racing gets more and more popular in Japan! Any concern that his number of coverings dropped a bit in 2017? There could have been two factors that caused the decline of Pyro's covering number in 2017. 1. His fee was raised to 2,500,000 Yen in 2017 from 2,000,000 Yen in 2016. 2. Discreet Cat(USA) joined in the Darley Japan's roster in 2017. DC covered 137 mares at a fee of 1,500,000 Yen. Pyro's fee has been adjusted lower to 2,000,000 Yen for this year 2018. I would guess that his numbers (and his fees) may fluctuate like this while his reputation as a reliable stallion for the breeders remains stable. That makes sense, didn't realize they raised his stud fee. Pyro's always been one of my favorites. Thanks! Grindstone, who triumphed in the Run for the Roses in 1996, has been there since 2010. Shock 2005 winner Giacomo came three years ago. Well before this unexpected event, Dr. Root dedicated his life to being a veterinarian. He had decided on that career path by the age of nine, and graduated from Oregon State University in 1974 with degrees in both Biology and General Science. He pursued his Doctorate of Veterinary Medicine at Iowa State, interning with some of the best vets in Kentucky and Florida. During this time he met and married his wife of over 40 years, Cookie. Their son, Ben, is now the operation's head trainer.